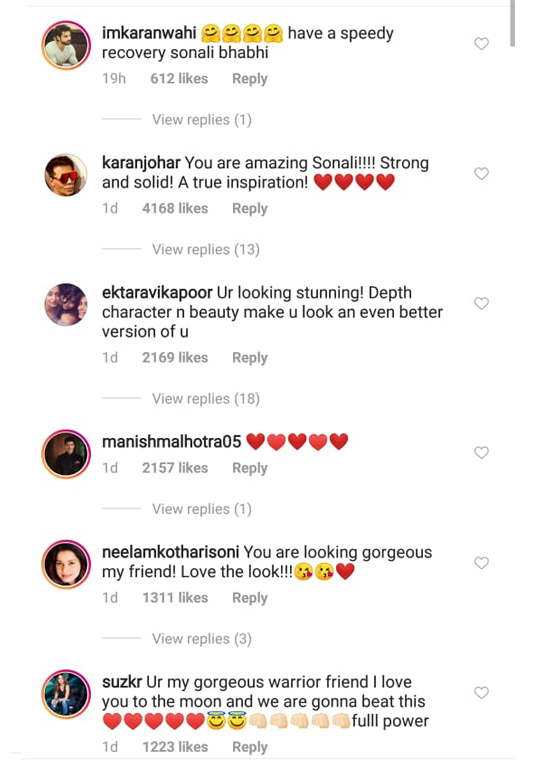 Parineeti Chopra, Shraddha Kapoor, Ekta Kapoor, and other actors on Sonali Bendre’s new look! MUMBAI: Bollywood actress Sonali Bendre recently shared her makeover with the entire world. The actress has decided inspire everyone by showcasing her battle with cancer. Her willpower to fight the deadly disease is commendable. Yesterday, when she posted a video of her getting her hair cut ahead of chemotherapy, everyone was awestruck. 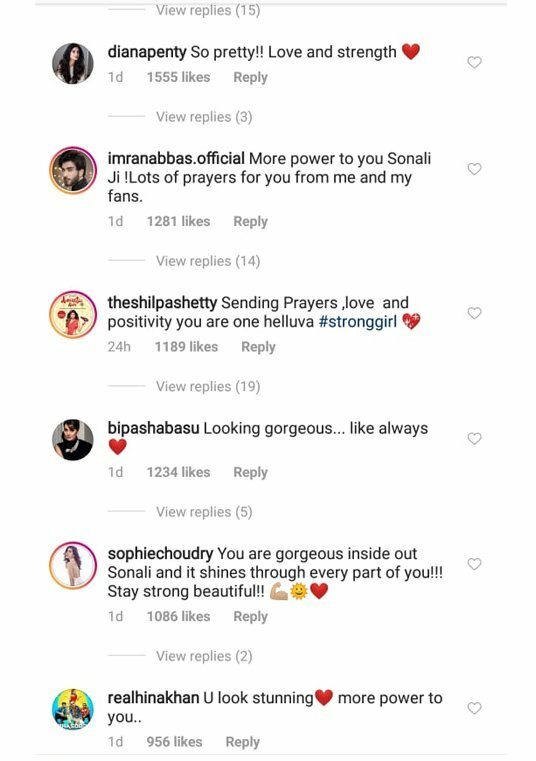 The likes of Karan Johar, Parineeti Chopra, Shraddha Kapoor, Ekta Kapoor, Shilpa Shetty, Karishma Kapoor, Diana Penty, Bipasha Basu, Manish Malhotra, Hina Khan, Farah Khan, and Neelam Kothari showed their support to the strong lady. 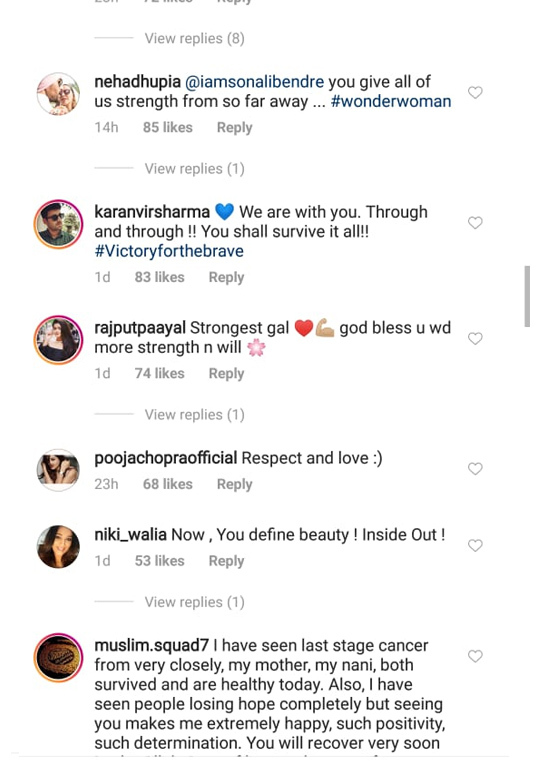 TV actor Karan Wahi wished a speedy recovery for his bhabhi, while Suzanne claimed that she was a gorgeous warrior. 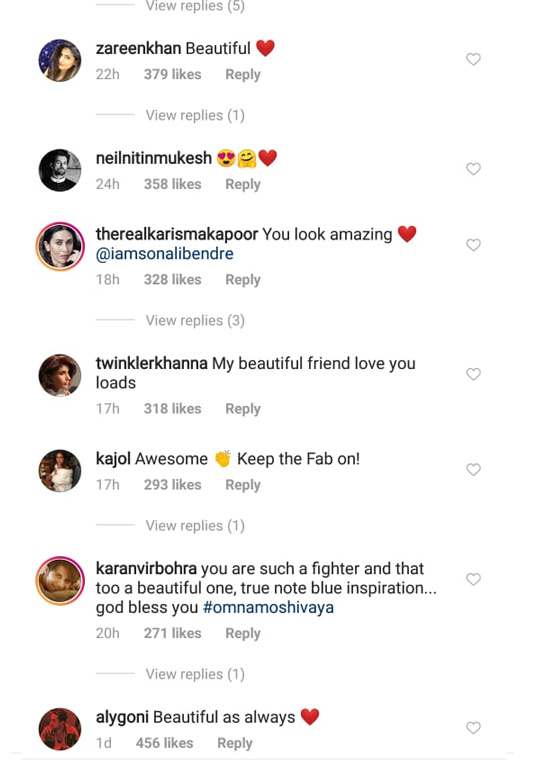 Twinkle Khanna, Kajol, and Karishma Kapoor also sent their wishes. 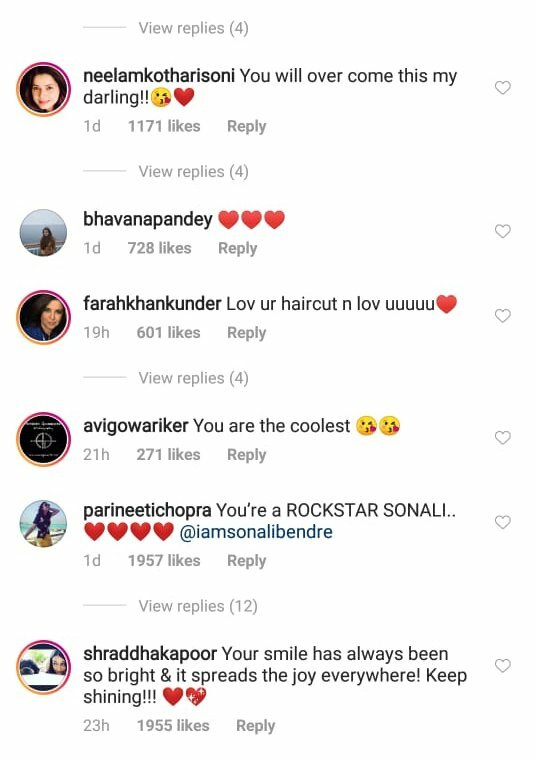 Neha Dhupia called her a wonder woman who gives everyone strength, while Esha Gupta and Urvashi Rautela sent their powers her. Sonali announced her battle with high-grade cancer a few days before when she had to opt out of a reality series. We wish the actress a speedy recovery.